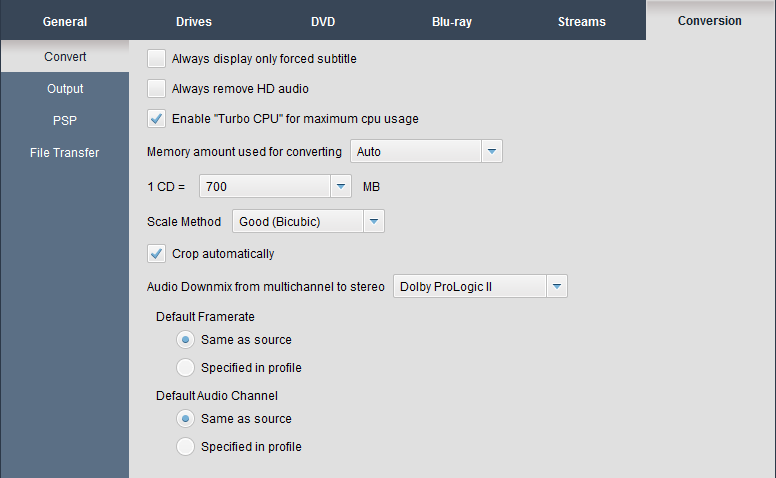 Note that the settings this page apply to all DVD Ripper modes. This option will decide how DVDFab uses your computer's memory resources. "Auto" works well for most users, but you can try and see the other settings available, which may improve mobile conversion speeds. Note that "MAX" may not guarantee the fastest speed. Specify the size of a CD before converting so that the files produced will meet the desired space. Once this checkbox is ticked, the auto-crop function will be enabled, vice versa. You can also set this manually using the buttons at Video Effect Settings window, Crop page before each conversion task.